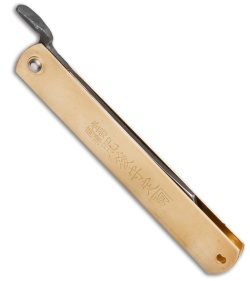 This friction folder is the real deal, made in Japan by Nagao Higonokami. It has a san mai blue paper steel (Aogami) reverse tanto blade with a razor sharp edge. 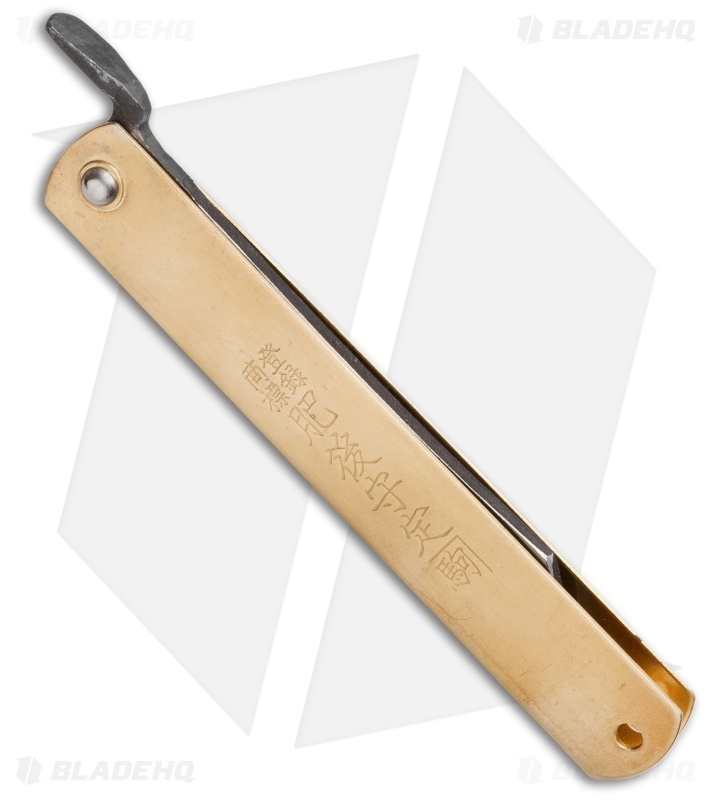 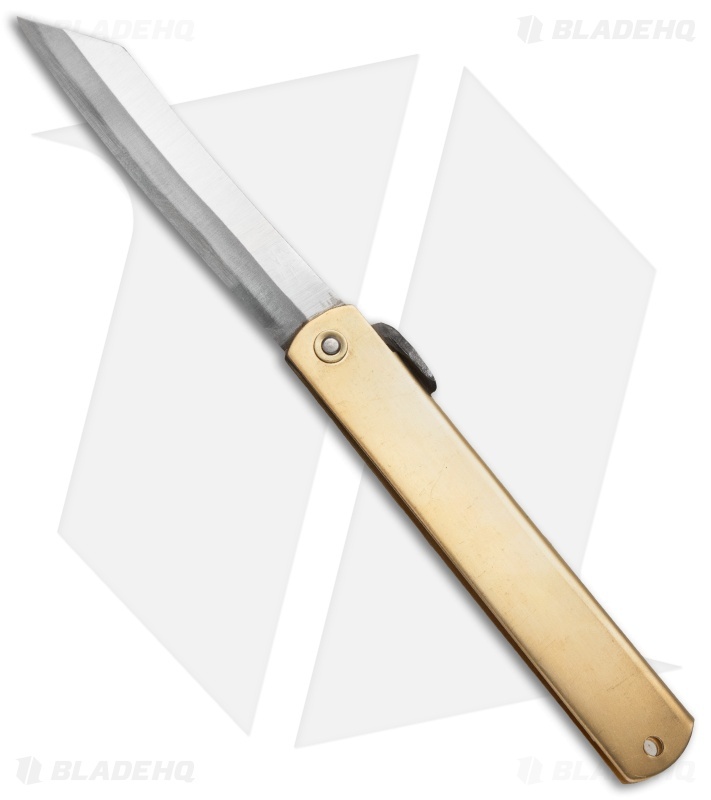 The blade is fully concealed in the brass handle when closed, with the exception of the long tang.